Liza Baker comes from Pontypridd, South Wales (Tom Jones home town). From the age of 3 when her mother Valerie recorded her first ever vocals, she knew music and singing was what she was born to do and David her father got her first equipment to go out and entertain the public at only 14 years of age. Liza has been inspired by singers such as Barbara Streisand and many of the top female singers from the past but one of the singers that has most influenced her is Whitney Houston. Liza has worked in small and large venues throughout the UK and all over the world and has also worked alongside many high profile celebrity singers and entertainers. 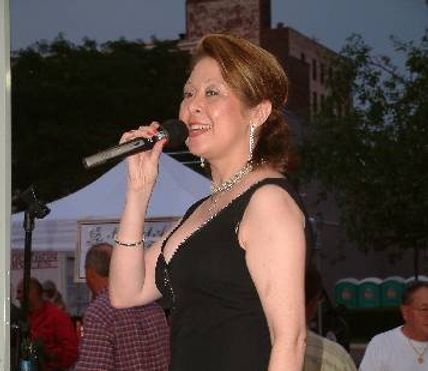 Liza is also known by the stage name Liza Starlight and has gained a reputation in show business for providing high quality live shows. Liza has developed and added a number of tribute shows to her regular shows. These include Whitney Houston, Shirley Bassey, Celine Dion, Tina Turner, Anastacia, & even a James Bond themed night. She recently took part in a tour called Dansette Days around the theatres of the UK with her tribute show to Helen Shapiro alongside 3 other tribute artistes. "You're like a mini with a Ferrari engine"
Being only 4ft 10 inches tall but with a huge voice. Liza also took part in Series One of BBC 1's The Voice in 2012 getting down to the last 100 to perform a blind audition in front of Tom Jones, Jessie J, Will-I-Am and Daniel O'Donahugh. Liza has appeared alongside Wynne Evans (Mr Go Compare), Paul Potts (winner of the 1st ever BGT), and Jefferson Starship in America, performing to over a 22,000 strong audience, she has also appeared on TV with Anne Robinson's Weakest Link program in a special Christmas Edition featuring tribute artistes which Liza appeared as Shirley Bassey.